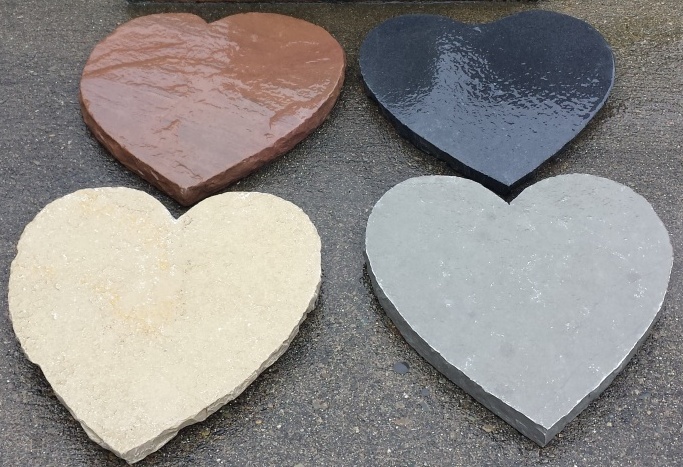 Solarstone stocks four colors of pet headstones for $20 each in the Seattle area. We don't engrave them, but lettering can be painted on, done with a dremel tool, sandblasted in, or left blank. 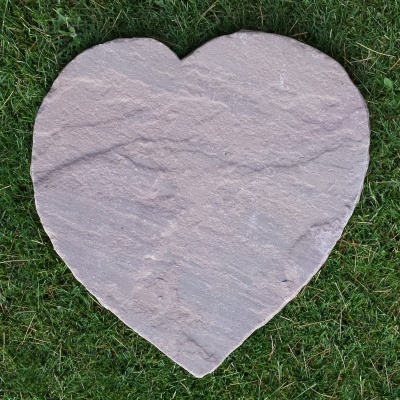 Decorating the stone is a wonderful project for a child going through the grieving process after the loss of a pet. 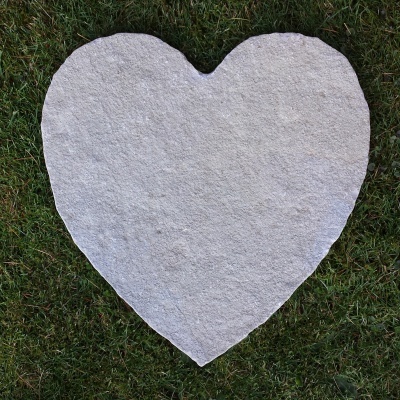 These are hand-made stones carved from natural limestone and sandstone. 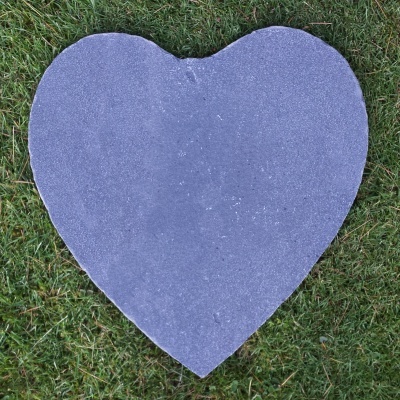 They are suitable for direct, long-term exposure to the ground or for setting in concrete. The first photo shows the colors when wet; subsequent photos show dry stone. 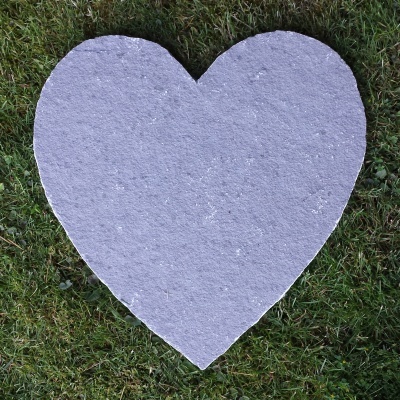 If you prefer a traditional rectangular headstone rather than the heart-shaped, we stock 12x24x2" stones in five colors for $18 each.